Cleaning Services currently employs around 200 cleaners, mostly on a part time basis, either early morning or evening. The cleaners carry out a daily cleaning service to almost any home, and office. They can mop, dust, vacuum, wash, disinfect and clean up every corner of your house. Not a superficial, cover it up, but a deep, thorough, complete cleaning Services. 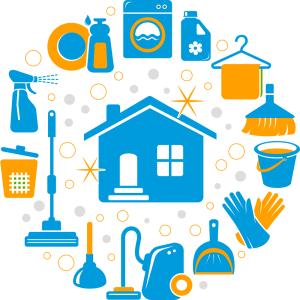 Cleaning includes all services normally associated with a house cleaning company, including emptying all trash, dusting, vacuuming carpet, cleaning mirrors and insides of windows, and cleaning the bathroom toilet, sink, floor, and shower/bath.